With winter now dead and buried, it’s time to drag those pale bodies out of the city and to the beach for some much-needed vitamin D.
If you plan on making the most of summer by moving to a beachside suburb, then now is the best time to make your break. To help you find that perfect place to soak up the sun, here are our top ten beachside suburbs to live. No top beaches list would be complete without the world famous Bondi. With crystal-clear waters and a long, soft-sand beach bookended by rocky points, Bondi is undoubtedly a beautiful part of the world. 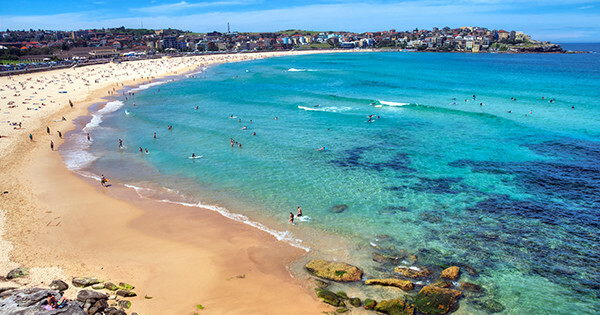 While, some may argue for Bondi’s less publicised neighbours, there is no escaping the fact that Bondi is also one of Australia’s most popular share accommodation suburbs. The suburb is also home to some of Sydney’s best restaurants, bars and cafes; ensuring you won’t need to venture far from Bondi to grab a drink or enjoy a decent meal. Its popularity as both a tourist attraction and local hotspot means competition for rooms can be tough and prices sometimes steep, so get in quick. 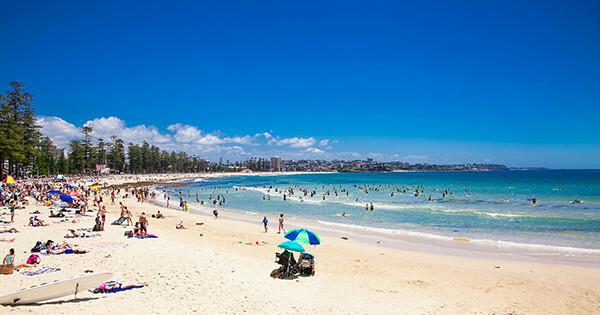 With its tree-lined promenade, fine-sand strip and water conditions suitable for everyone, it’s not hard to see why Manly is one of Sydney’s most popular beaches. Despite being located just 20 minutes from Sydney CBD by ferry, Manly will feel worlds away from the hustle and bustle of city life. Complete with a sophisticated cafe scene and vibrant nightlife, you may never want to leave this Northern Beaches hub. Competition for rooms in Manly can be fierce, particularly around summer, so now is the perfect time to make a move. Sydney is blessed with a plethora of inner-harbour beaches that prove you don’t have to live too far from the city to feel the sand between your toes. 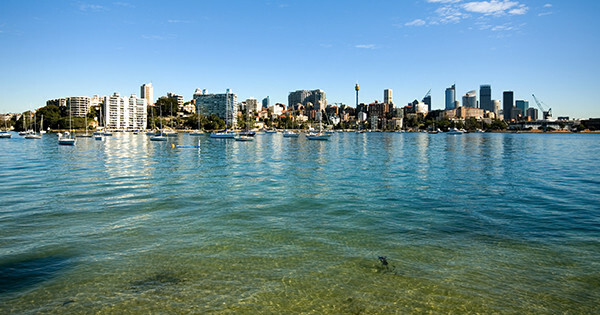 Rose Bay is one such suburb, offering one of the biggest beaches on the harbour. Dog owners will also be delighted to hear that their furry friends are more than welcome at Rose Bay, which is a designated off leash beach—one of only a few in Sydney. Located just six kilometres east of the CBD, the suburb offers a wide range of accommodation options from multi-million dollar homes to high-rise apartments. Thankfully, room rental prices here don’t always reflect property prices and finding an affordable room in a quaint, art-deco apartment can be surprisingly easy. 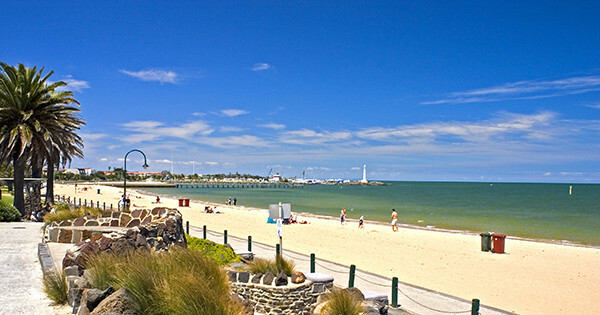 Undoubtably Melbourne’s most famous beach, St Kilda is located just a short tram ride from the city centre. Calm bay waters off St Kilda make for a perfect spot to take a dip, while the clean sandy beach is ideal to sit and soak up the sun. In recent years, St Kilda has undergone rapid gentrification which has made it one of the most fashionable suburbs to live, a far cry from its drug and crime-riddled past. Accommodation options can vary from cosy art-deco apartments to ultra-modern high-rises. 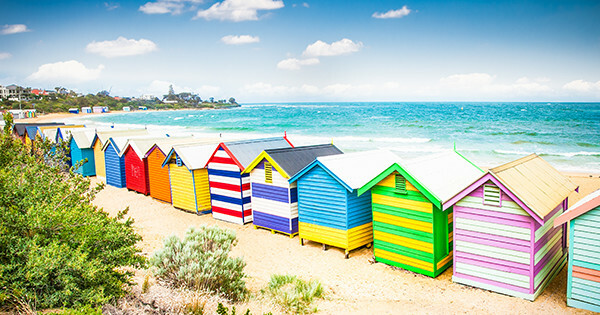 Brighton is one Melbourne’s most recognisable beaches thanks to its colourful bathers boxes that have lined the shore since 1934. Just like St Kilda, the waters off Brighton are calm and perfect for escaping the blistering summer heat. A laid-back and marginally cheaper alternative to the aforementioned, Brighton is a leafy, quaint suburb with good transport connections to the city. Most properties in Brighton are older style homes with large rooms, which can also mean better value for money. Located on Queensland’s Gold Coast, Burleigh is a popular beach thanks to its protected swimming area and world-renowned surf break. South of the beach you’ll find the Burleigh Heads National Park which promises beautiful nature walks and stunning views across the ocean towards Surfers Paradise. Like most of the glitter strip, accommodation is limited to apartments by the beach and homes a few blocks back. While it might not be the cheapest area to rent, Burleigh is still considerably more affordable than some of its northern neighbours. If you’re lucky enough to live on or near the Sunshine Coast, then you’ll have already realised the hardest thing about living by the beach is deciding which one. 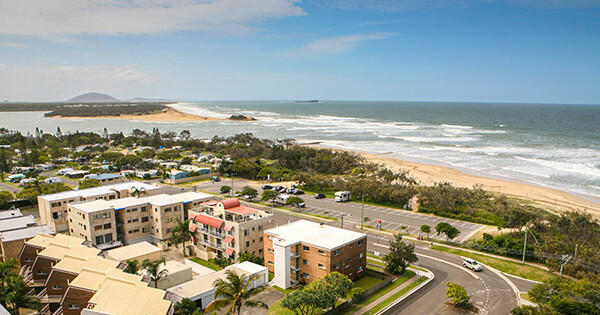 While you can’t go wrong living in any of the suburbs that sit along 60km of some of Australia’s best coastline, Maroochydore is one of the best picks. Locally known as Maroochy, this beachside suburb is centrally located, easily assessable and just a short drive from both Alexandra Headland and Mooloolaba beaches; leaving you spoilt for choice. Most accommodation options here will vary from holiday apartments built over the last 30 years to large family homes. 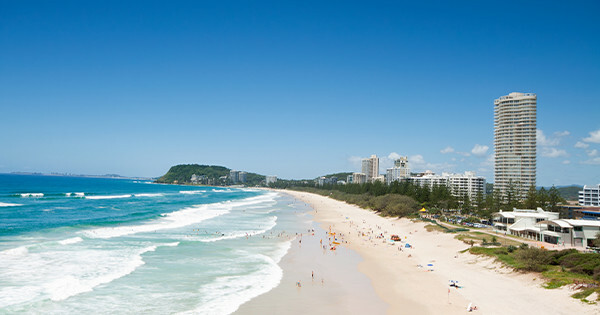 Despite being the capital of the Sunshine State, Brisbane has very few beaches to speak of (Southbank doesn’t count). Those keen on a long commute could consider the likes of the Sunshine or Gold Coast for their sea-change, however, this might not be a feasible option for many. For any kind of beach action, Brisbanites head north to the Redcliffe Peninsular. 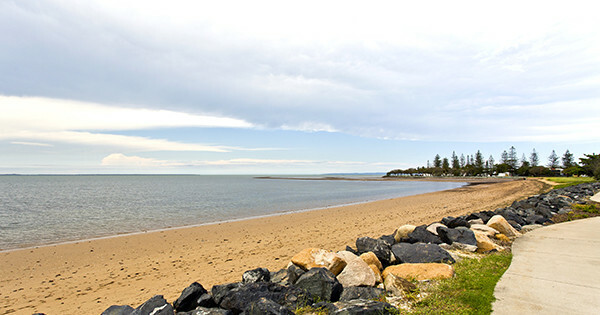 Located approximately 25-30 minutes drive from the CBD, Redcliffe and its neighbouring suburbs offer possibly the best option for beachside living. While not the prettiest of beaches, there is sand and ocean, which will fit the bill for most. Recent developments in Redcliffe means accommodations will range from ultra-modern apartments to old-school holiday homes. 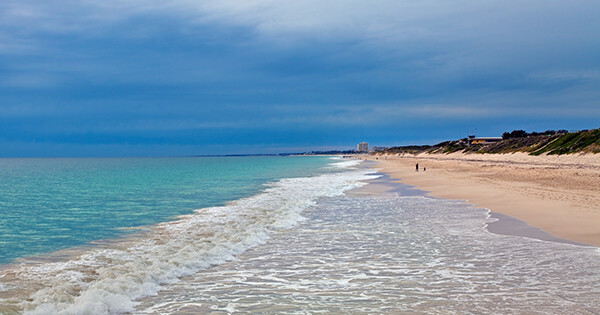 Just 15 minutes’ from Perth’s CBD, Scarborough Beach is a popular destination thanks to its white sand, aqua waters and consistent surf break. Away from the beach, the suburb offers a decent cafe scene, variety of restaurants and a surprising nightlife. While it might not be as iconic as Cottesloe Beach, Scarborough is more popular for share accommodation thanks to cheaper rents and an abundance of family sized homes.